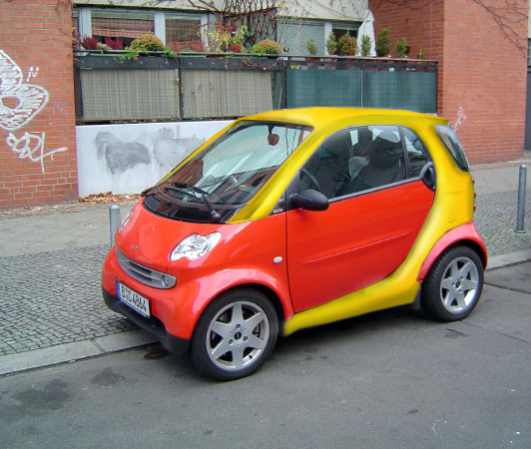 OK, so you bought a Smart Car for its fuel economy, park-ability and all-round urban practicality but you still get mocked for driving a “kiddy car”... what to do? 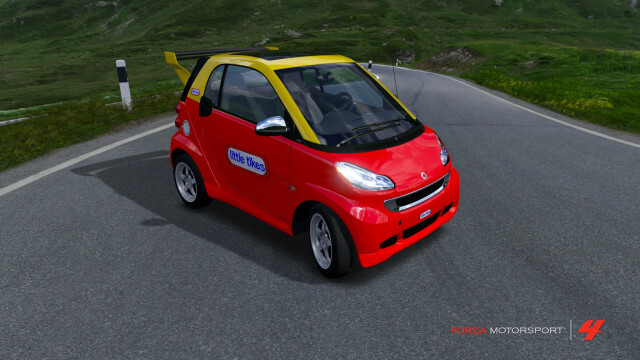 Just go with it by dressing up your Smart Fortwo as a (slightly) oversized Cozy Coupe! 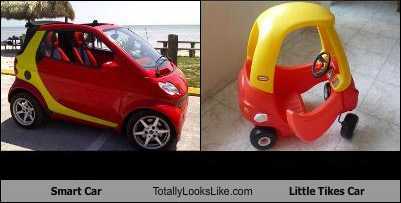 Everyone knows Little Tikes' Cozy Coupe: since it exploded onto the market in 1979 well over ten million have been purchased. Without a doubt it's been America's best-selling car (using the term VERY loosely) since then, easily outselling the Ford Taurus and Honda Accord. Indeed, the Cozy Coupe is a true American success story, being made since the get-go in good old Hudson, Ohio, from recyclable Type 4 plastic. Recently, however, a new challenger from across the sea (Hambach, France to be exact) is seeking to wrest the cute kiddy car crown from the Cozy Coupe. 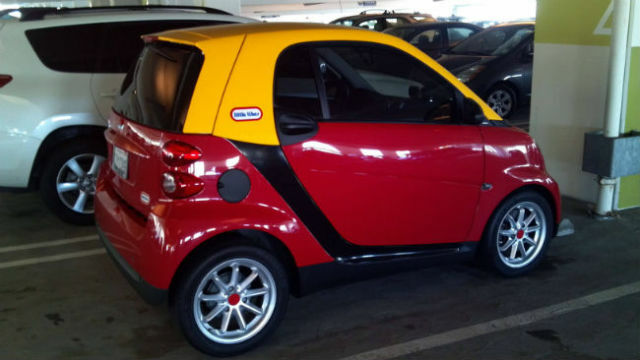 Truth be told, the three-door, two-seat, 3-cylinder engined Fortwo boasts a lot of advantages over the Little Tikes “Forone”... except when it comes to snazzy exterior color combinations in the red & yellow range. 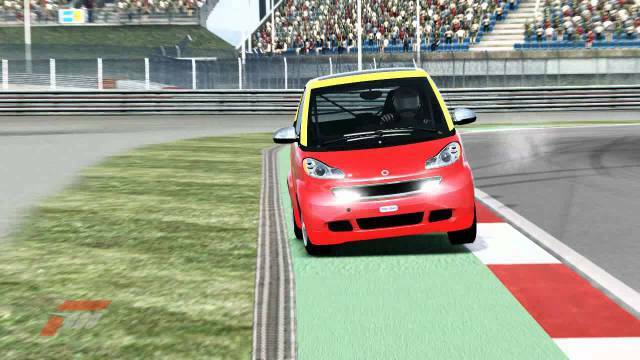 That hasn't stopped a few Smart Car owners wistfully nostalgic for the tough, stylish, foot-powered rides of their very early years to take matters into their own hands. The makeover (make-under?) may be simpler than it looks as well, as aftermarket kits are rumored to be available in order to ease the pain of vehicular regression.